Rob Reiner has been on a rough streak as a director for 15 years. Not since 1995, when he directed An American President, has he had a film that was truly loved by critics. 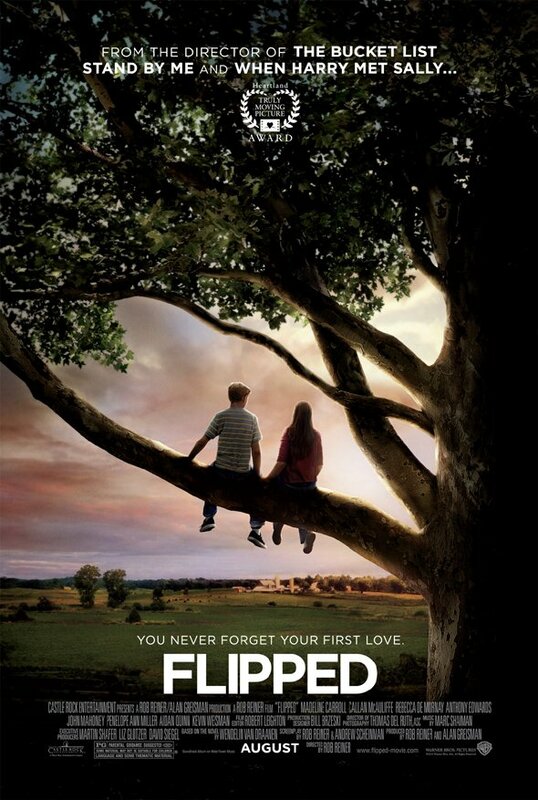 But when the trailer for Flipped came online earlier this month, it surprised a lot of people. It could be Reiner's return to the top. Evoking a Wonder Years type vibe, the movie looks as though it has a sweet and charming quality that few films are able to achieve. The new poster from the film has this same quality. Featuring two young kids sitting next to each other on the bough of a tree, it feels like a Norman Rockwell painting: timeless and quaint. If the whole film can match the emotional resonance of everything we've seen so far, then we might be getting back the Reiner that brought us Stand By Me instead of the Reiner that brought us North. Check out the poster below and click it to see it in its highest resolution.